Grand Rapids celebrates the art of the craft cocktail from November 9 - 20. Move over craft beer. It’s the craft cocktail’s time to shine. If you’re looking for an excuse to discover all Grand Rapids has to offer in terms of craft cocktails and spirits, Cocktail Week GR is for you. From November 9 - 20, Experience Grand Rapids is encouraging Grand Rapidians to sip local and celebrate the art of the cocktail. More than 35 locations including Rockwell Republic, Bistro Bella Vita and New Holland - The Knickerbocker will participate and create specialty drink and food menus for the twelve-day celebration. For the pair-and-share deal, you’ll get two Michigan cocktails and a shared plate appetizer for $25 or less. If the participating bar doesn’t serve food, you may be in for another special surprise with your Cocktail Week GR deal. We joined Stephanie Kotschevar of Experience Grand Rapids to go behind the bar and get a taste of what’s to come with Cocktail Week GR. We hopped on board DASH North and spent some time at Gray Skies Distillery where co-owner Brandon Voorhees shared his excitement for the twelve-day event and prepared one of their Cocktail Week GR specials. 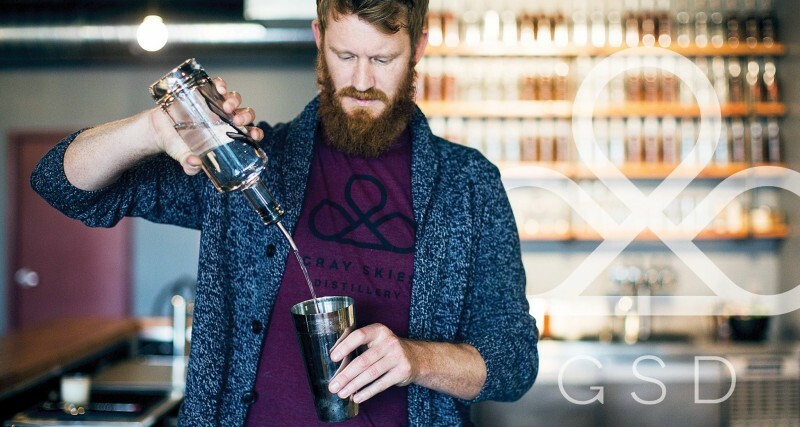 Gray Skies Distillery boasts more than just a production facility, it’s also home to a bar and tasting room. You can indulge in their wonderful handcrafted cocktails featuring their unique spirits and even take them home to recreate cocktails on your own. During Cocktail Week GR, you can get a choice of two cocktails, plus a set of four Gray Skies slate coasters for $25. Free distillery tours will be available on Wednesday, November 9, and Tuesday, November 15. Located at 700 Ottawa Ave. NW, DASH North and Routes 11 and 19 can drop you off just a short walk away. Enjoy Cocktail Week GR until the very last drop. This year, the celebration coincides with the annual International Wine, Beer and Food Festival from Nov. 17-19 at the DeVos Place Convention Center. One highlight of this year’s event is the expanded spirits area. Let The Rapid be your designated driver during Cocktail Week GR. Ride with us to and from participating bars and restaurants and don’t forget to check out Grand Rapids’ Park Once District and the Silver Line’s No Fare Zone for wallet-friendly travel options. For a full list of bars and restaurants participating in Cocktail Week GR, visit http://cocktailweekGR.com.